On Saturday, May 26th, the Vienna auction house WestLicht will auction what will very likely become the world's most valuable camera. 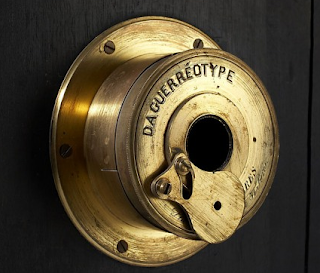 For most of photography's history, the oldest commercially produced cameras were thought to be those manufactured by Daguerre's brother-in-law Alphonse Giroux, of which some ten survive. 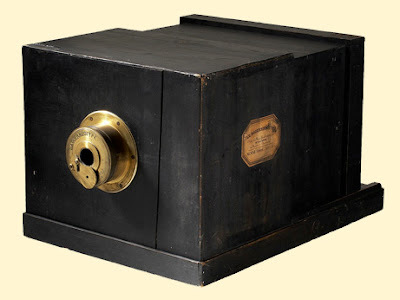 But behind the Giroux was a mystery: it was known that a sliding-box Daguerreotype camera had been advertised by a Paris firm called Susse Frères a mere ten days before the first announcement of the Giroux. No examples were known, and for many years it was doubted that any had ever existed. Until, that is, one turned up recently in Germany. The camera to be auctioned by WestLicht is essentially an "attic find." "It was originally owned by Prof. Max Seddig (1877–1963)," reads the auction description, "who was the director of the Institute of Applied Physics in Frankfurt am Main and, among other things, godfather to the founding of the Josef Schneider Optical Works in Kreuznach. Seddig gave the camera to his assistant, Günter Haase, as a present. The latter was later Professor at the Department of Scientific Photography at the University of Frankfurt and, from 1970 on, occupied the Chair for Scientific Photography at the Technical University of Munich. Prof. Günter Haase died on February 20th 2006 at the age of 88 and left the camera to his son, Prof. Wolfgang Haase. "Numerous experts attest that it is very likely the oldest commercially-produced camera in the world." Previously, the world's most valuable camera was believed to be the surviving Ur-Leica of Oskar Barnack, owned by Leica AG, of Solms, Germany, although it has never been sold. Opening bid for the legendary Susse Frères will be 100,000 Euros, and the selling price is believed likely to exceed 1 million Euros. Ok, ok, I have to say it. Can it be fitted with a digital back? and a hot shoe for a flash? Yes, but what is the Buy it Now price? Maybe I could make a good bargain by skipping the auction altogether. This is rather interesting because just the other day, at the museum where I work, I was helping one of the curators read the fine print on a bronze casting of a turn-of-the-century (1900) work of art and it was made in Paris by the Susse Freres. I wonder if it is the same firm or a coincidence? Now let me get this straight... the auction house claims that the original owner lived from 1877-1963, but the camera was manufactured in 1839? I guess it sat on the shelf at the dealer for a while, eh? I feel so petty complaining about the price of an M8. I could be getting so much less for so much more. I'm not really up on camera history, but is the current Canon SLR styling an over-reaction to this boxy look? Where is the shutter ? Is the flaps on the back inside of the box ? Interesting stuff like this is exactly why I love coming and reading this blog, and always save it for last. Awesome. Since I'm delurking and commenting, loved the Leica posts a few days ago. "Where is the shutter ? Is the flaps on the back inside of the box ?" Dude, the shutter is the thing in front of the lens. Exposures in those days where in the minutes at least. I think I get it now, the lens says Susse Freres and it's made of brass. The sculpture I saw is made of bronze. Susse Freres was or is a foundry in Paris and would make the brass parts for a lens and maybe the rest of the camera too. Is there any carbon test to atest the age of this storic machine?